I think in our heart of hearts we knew there would be some retrace today, and that's exactly what took place after Friday's little mini massacre. Are the bears in trouble here? 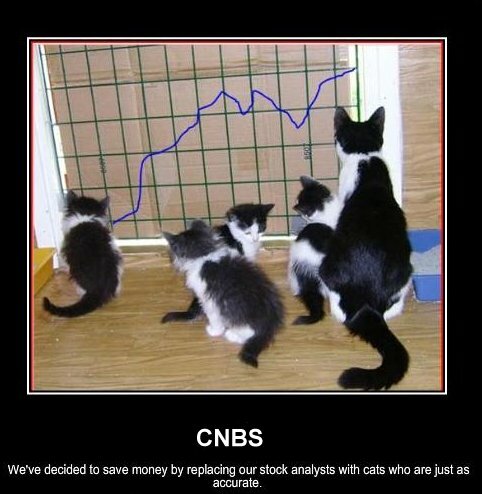 I'd say negative to that when taking a look at the daily charts. But.. every chart needed a breather, and that could be over or have a little more upside to relieve the very short term oversold conditions. We'll see. AAPL started the day off very weak, but tomorrow they report earnings after the bell, so anything goes since they tend to sandbag. Both TRAN and the RUT lagged today, so consider that the risk trade was still peeling some layers back today even on this relief mini-rally. Earnings of interest tomorrow: before the bell- GS, BK, JNJ, BTU, PEP, UNH, WHR. Post session includes: AAPL, BSX, GILD, JNPR, STX, VMW and YHOO. I'm reading: Cat-egorically Normal $$Tweet this!